Sarah Lawson: All human activity has an impact on the atmosphere and it can be difficult to figure out which source is actually contributing to the air pollution. This project is looking at ambient air quality in the Surat Basin. An Ambient Air Quality Station is really a building, which contains a whole lot of really specialised ambient air monitoring equipment. and then provides the reading or the pollutant concentrations to the computer where it’s then streamed to the E.P.A. website. So we’re going to use an Air Quality Model in this project to try to separate out the contribution of different sources to the air pollution that we observe. and then we can compare the levels of air pollutants that we find to other areas in Queensland to give us an idea about how this region compares and we can also compare the levels of pollutants that we find to the Government’s Air Quality Goals. The Government will use the data to inform future policy development and industry will use the data to improve their practices. I think the really exciting thing about this project is that we’ll actually be making the data from the Air Quality Network available to the community, to Government and to industry in near real-time. and I think this is a really important part of the project. It provides complete transparency to the community. 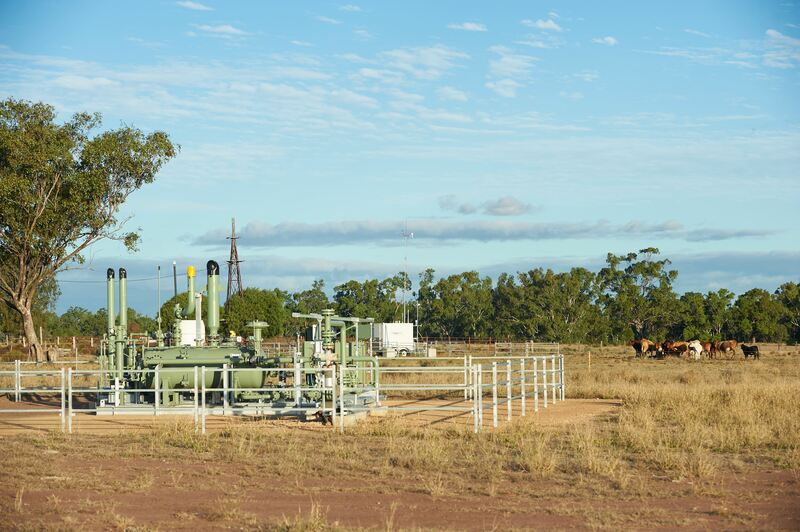 CSIRO, through the Gas Industry Social and Environmental Research Alliance (GISERA) , is leading a study which includes collection of air quality measurements through a network of five ambient air quality stations in the Chinchilla, Miles and Condamine region of Queensland. The data collected is streamed live to the Queensland Department of Environment and Heritage Protection website . “The data is accessible to everyone which means local communities and the general public can stay informed about the air quality in the Western Downs region, how it compares to other parts of Queensland and how levels compare to the government’s air quality standards,” Ms Lawson said. “Hosting the live air quality data from coal seam gas regions to local community and people of Queensland is a great way to show transparency and build confidence in the research that is taking place,” Ms Enoch said. “Both the air quality data and modelling results can be used by government to inform policy and regulations around CSG development and by industry to focus on improving practices that reduce emissions of pollutants” Ms Lawson said.